Fully managed, in-memory cache for DynamoDB. Reduces DynamoDB response times from milliseconds to microseconds. Amazon DynamoDB Accelerator (DAX) is a fully managed, highly available, in-memory cache for DynamoDB that delivers up to a 10x performance improvement – from milliseconds to microseconds – even at millions of requests per second. DAX does all the heavy lifting required to add in-memory acceleration to your DynamoDB tables, without requiring developers to manage cache invalidation, data population, or cluster management. 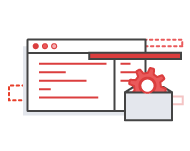 Now you can focus on building great applications for your customers without worrying about performance at scale. You do not need to modify application logic, since DAX is compatible with existing DynamoDB API calls. You can enable DAX with just a few clicks in the AWS Management Console or using the AWS SDK. Just as with DynamoDB, you only pay for the capacity you provision. Learn more about DAX pricing on the pricing page. You can enable DAX with just a few clicks in the AWS Management Console or by using the AWS SDK. While DynamoDB offers consistent single-digit millisecond latency, DynamoDB + DAX takes performance to the next level with response times in microseconds for millions of requests per second for read-heavy workloads. With DAX, your applications remain fast and responsive, even when a popular event or news story drives unprecedented request volumes your way. No tuning required. With DynamoDB + DAX, you do not have to compromise on performance and scale. DAX lets you scale on-demand. You can start with a three-node DAX cluster, then add capacity by adding additional nodes. DAX lets you scale out to a ten-node cluster, giving you millions of requests per second. Just like DynamoDB, DAX is fully managed. You no longer need to worry about management tasks such as hardware or software provisioning, setup and configuration, software patching, operating a reliable, distributed cache cluster, or replicating data over multiple instances as you scale. DAX will automate many common administrative tasks such as failure detection, failure recovery, and software patching. DAX is tightly integrated with Amazon DynamoDB – you simply provision a DAX cluster, use the DAX client SDK to point your existing DynamoDB API calls at the DAX cluster, and let DAX handle the rest. Because DAX is API-compatible with DynamoDB, there is no need to make any functional application code changes. DAX does the heavy lifting behind the scenes to deliver improved performance. 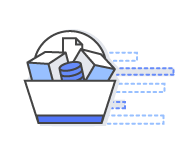 Furthermore, because the retrieval of cached data reduces the read load on existing DynamoDB tables, you may also be able to reduce their provisioned read capacity and lower overall operational costs. DAX enables you to provision one DAX cluster for multiple DynamoDB tables, multiple DAX clusters for a single DynamoDB table or somewhere in between giving you maximal flexibility. DAX fully integrates with AWS services to enhance security. You can use Identity and Access Management (IAM) to assign unique security credentials to each user and control each user's access to services and resources. Amazon CloudWatch enables you to gain system-wide visibility into resource utilization, application performance, and operational health. Integration with AWS CloudTrail enables you to easily log and audit changes to your cluster configuration. DAX supports Amazon Virtual Private Cloud (VPC) for secure and easy access from your existing applications. Tagging provides you additional visibility to help you manage your DAX clusters. Create your first DAX cluster in the AWS console with a few clicks.